Most people have heard about lumbar discectomy surgery for herniated disks. This surgery has changed the way many people feel about back surgery. In the past many back surgeries had uniformly poor results, and the chances of a positive outcome was not that great. But, times have changed, and the forces of marketing (small incisions, outpatient back surgery) have turned this once feared surgery to a “band aid operation”, with expected routine results. For patients who must have this surgery, confidence in a favorable outcome is good for the patients emotional state. 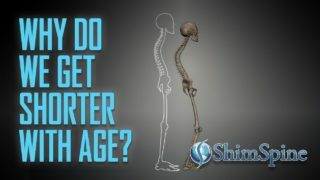 But, secondary to the marketing techniques of many of our “Spine Institutes”, some patients have lost the healthy respect that should be given to any surgical procedure. Having said that, we do know that in the properly selected patient, the results can be very favorable. The key words are “properly selected”. In general, patients that have lumbar discectomy surgery usually fall into two categories. The first group of lumbar discectomy patients are the unfortunate individuals that develop excruciating leg pain, with rapidly progressive weakness, and in true emergencies, lose the ability to control their bowels and bladder. Without getting too detailed, it means their legs cannot support their body, and they buckle, not from the pain, but from true lack of ability to control the muscles. In terms of the bowel or bladder, loss, it is not constipation. It is true loss of control where people will start to soil themselves. In this situation, surgery is usually done on an urgent basis. If you think this is what is happening to you, stop reading this Blog and call your doctor immediately, or go to the emergency room. Fortunately, for most lumbar discectomy patients, this is not the situation. The second group of lumbar discectomy patients often present with a significant pain, but it is not associated with a progressive weakness, or loss of bowel or bladder control. But, even with time, physical therapy, medications, and injections, the disc herniation does not stop hurting. For these patients, after having the proper workup including x-rays and MRI’s, a surgeon may suggest lumbar discectomy surgery. A good outcome is associated with disk herniations that follow a predictable pattern of nerve irritation. To clarify, although you may have a disk herniation, it may not be located on the right area to cause your complaints. If that is the situation, surgery may not help your situation. A prudent surgeon will consider further treatments, or even other nerve type test before considering surgery in that situation. 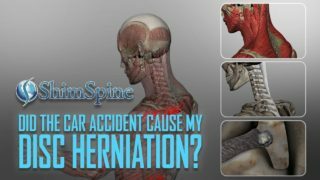 In the best case scenario, a person would have continued pain from a defined disc herniation, with a corresponding pain pattern, numbness pattern or weakness complaint that is consistent with the nerve(s) entrapped by the herniated disc. If this person fails conservative treatment, there is a high likelihood of a successful outcome if surgery is performed. There are other factors that also weigh into the decision, and the likelihood of a successful lumbar discectomy surgery. A healthy normal weight person has a better chance of an uneventful and successful outcome. If you start adding in other factors such as multiple levels of disc herniations, obesity, diabetes, and other medical problems, the risks do go up and the outcome prediction does go down. But, in a relatively healthy person, with a well-defined disc herniation, lumbar discectomy is an excellent choice. And, no matter what specific technique, as long as the disc is visualized, and properly removed, the outcomes will be predictably good.